The Lifetime 30-inch x 72-inch Picnic Table with benches features added UV protection against the normal wear-and-tear of the sun's rays. The picnic set includes a plastic rectangular table top and 2 attached benches. The bench legs are constructed of steel, to comfortably seat 8 and support up to 1,000 lbs. 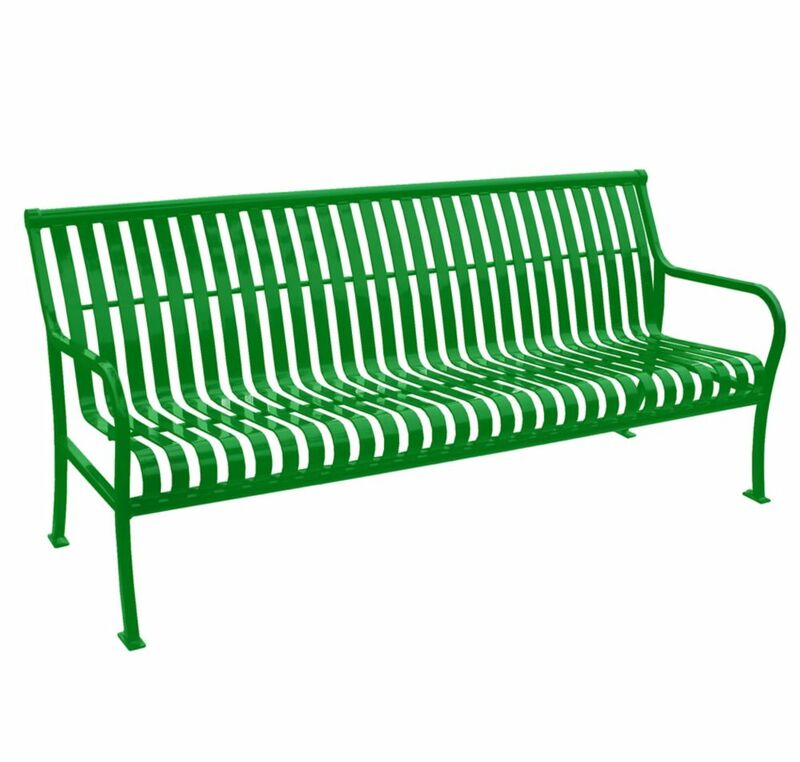 6 ft. Light Green Premier Bench Paris Premier Benches are a welcome addition to any setting. They provide classic good looks, comfortable contours and rugged durability. The fully welded, all-steel construction means that no assembly is required. The thermally bonded powder coating also assures long-lasting beauty.